In my review of this year’s Stone Garden M800, I included a picture of the Nord/LB limited edition which generated a few inquiries. Given the history behind the Nord/LB and its somewhat obscure nature, I thought that the topic would be ripe for a post of its own. First off, this limited edition was designed at the request of the Norddeutsche Landesbank Girozentrale. Somewhat unique to Germany, the Landesbanken are a group of state-owned banks that are regionally organized and predominantly focused on wholesale banking. Abbreviated Nord/LB, this North German bank was at one time counted amongst the top 10 banks in Germany and the top 100 banks in the world. As of 2016, the company’s total income was $2.3 billion with total assets of approximately $205 billion. It is a public corporation owned by the federal states of Lower Saxony and Saxony-Anhalt with headquarters in Hannover. Originally established in 1765 as the Braunschweigische Staatsbank, it began operating under its current name on July 1, 1970 following the merger of four predecessors. Nord/LB specializes in investment banking, agricultural and real estate banking, corporate finance, ship and aircraft financing, and private banking. In 1995, the company celebrated the 25th anniversary of its founding. 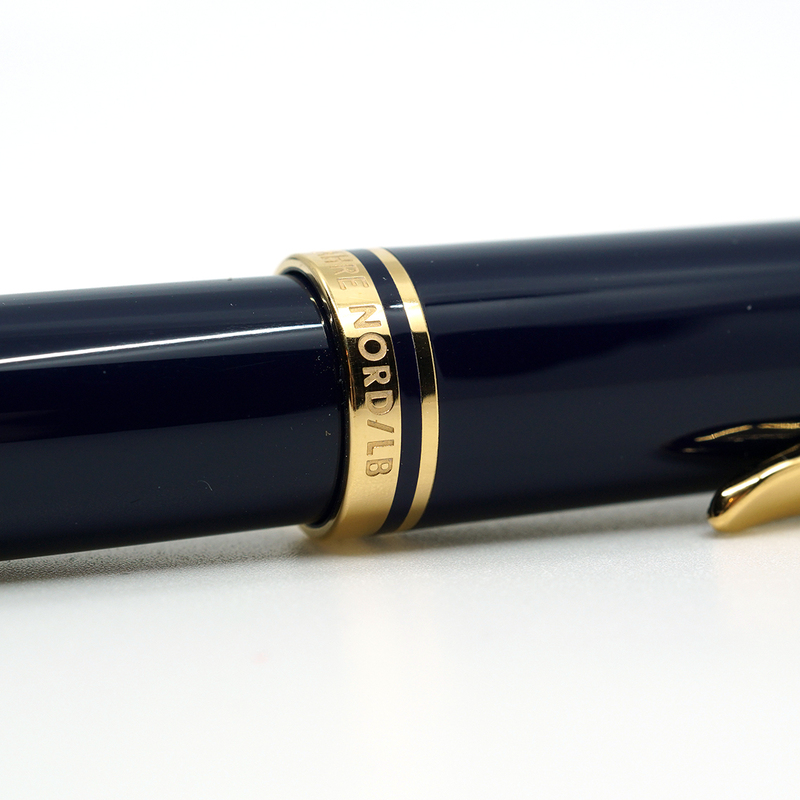 To mark the occasion, the firm’s board contracted with Pelikan in order to provide each of its employees at the time with a Limited Edition Souverän M800 fountain pen. The pen in question was never made available for purchase to the general public but several examples have entered into the collector’s space over the past 23 years.